I like to watch shows about nature, I admit it. The Arctic is especially intriguing, because I’ve never been able to figure out how those crazy animals manage to survive out there on the ice. 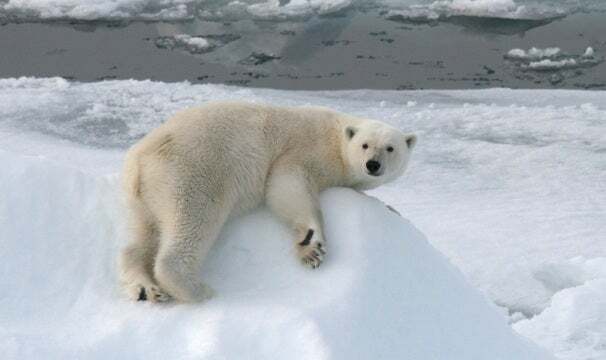 More importantly, if arctic animals can survive both in and out of the frigid water that surrounds such a cold and bleak landscape, why can’t I? Certainly polar bears and seals have decent coats, but that just wouldn’t be enough for me. New Scientist is reporting a significant advance in how we understand the science of environmental adaptation thanks to neutron diffraction images which reveal the nanoscale secrets of the antifreeze protein (or AFP). These proteins work by floating around and locking onto forming ice crystals, keeping them from growing large enough to damage tissue. This allows an adapted animal to survive in much colder temperatures than an animal without antifreeze proteins. We've known about their existence for years, so the big mystery wasn’t whether or not AFPs exist, but how they only bind to ice and not water. Of course when water is freezing the molecular structure is a six-molecule ring; as it turns out, an antifreeze protein just happens to contain little hydrophobic spikes that fit perfectly into the the ring. It halts the growth of the ice, and the formation of spikes deflects water molecules, so no mistakes are made. Practical applications are easy to imagine, like the eradication of tumors through cryosurgery. What I’d like to see, though, is the ability to just not worry about being cold. Living in the Northeast, it’s pretty much winter ten months out of the year and I do not enjoy it as much as when I was a young whippersnapper. Frankly, I could do with some AFP infusion. I wonder if this would make me immune to being encased in carbonite? When not making bad Star Wars jokes here at PCWorld, Jason Kennedy is probably posting them on Twitter. You should follow him.